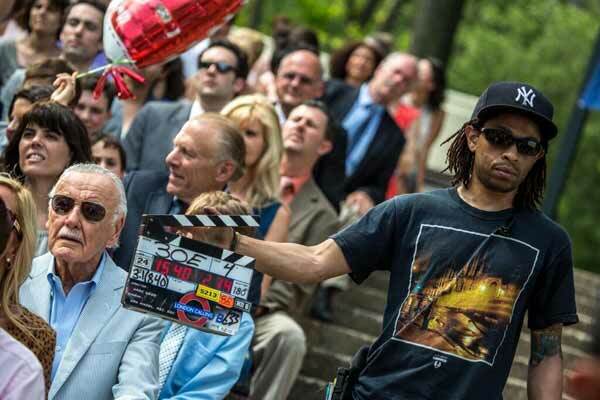 Ever since the first X-Men movie back in 2000, Stan Lee has made a regular habit of making cameos in movies featuring characters that he either helped create or contributed to in a major way. Part of the fun of watching Marvel movies over the last 13 years has been keeping an eye out for the comic book legend's moment in the spotlight, be it rescuing pedestrians from falling debris (Spider-Man), drinking gamma radiation infected soda (The Incredible Hulk) or getting mistaken for Hugh Hefner (Iron Man). Earlier this year we got to see him as a pageant judge in Shane Black's Iron Man 3 and there's a very good chance that he will be making an appearance later this year in Alan Taylor's Thor: The Dark World, but today we've learned that there is one upcoming comic book movie that he won't be a part of: Bryan Singer's X-Men: Days of Future Past. Earlier today Lee took part in a panel at the Fan Expo in Toronto, Ontario, and according to Bleeding Cool he informed the audience at the event that because he chose to attend the convention he would be unavailable to shoot a cameo in the upcoming X-Men movie, which has been in production since April. Lee told the crowd that he was supposed to be in Montreal this weekend where Days of Future Past is filming, but that he "couldn’t disappoint the fans so came out to Fan Expo instead." The comic book writer told the crowd that he didn't have a cameo in James Mangold's The Wolverine because the shooting location in Australia was just too far away for him to travel. That said, Lee also didn't appear in X-Men Origins: Wolverine, but that could also be explained by the fact that he didn't create Wolverine - that credit belonging to Roy Thomas, Len Wein, and John Romita, Sr. It's also worth mentioning that Lee won't be completely absent from 2014's slate of comic book movies. As revealed by director Marc Webb earlier this year, the filmmaker does have a cameo appearance in The Amazing Spider-Man 2, which you can preview below. And who knows, perhaps he will end up making an appearance in Captain America: The Winter Soldier as well, considering he was the one who came up with the idea of having Cap throw his vibranium shield at his opponents as a weapon. We'll just have to wait and see.